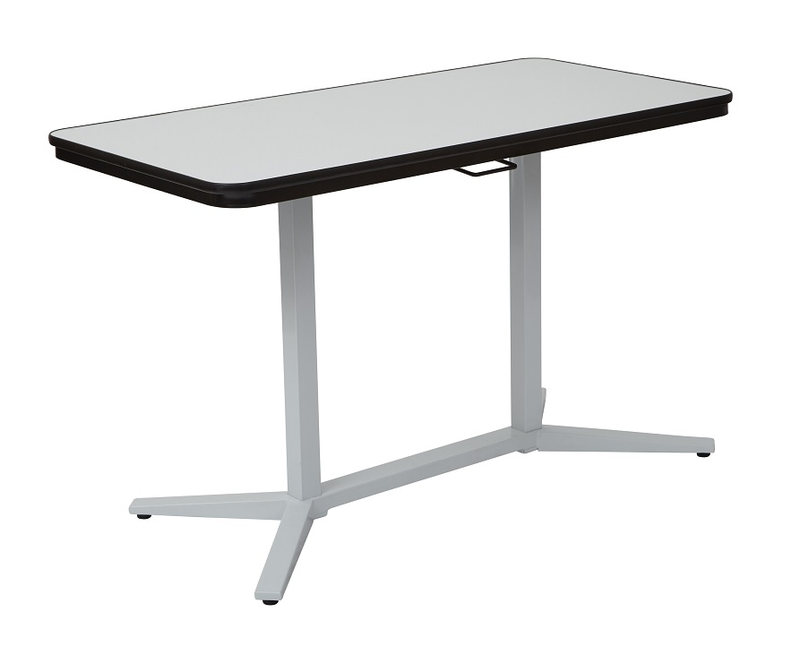 A height adjustable table is something every conference room and office space can benefit from, one that comes with a built in dry-erase board as the surface is just icing on the cake. Easily draw out monthly plans and business wide goals on the table’s surface to invite office wide collaboration to prosper. Use as a personal desk and make a giant to-do list right next to your computer. You can even raise the height and make a healthy standing desk. A standing desk encourages healthy movement during the day and helps make any long work hours not such a pain in the back. A sleek white table allows the Proline 2 Adjustable Dry Erase Top Table to seamlessly enter any office (or home for that matter) and add nothing but a clean backdrop for immense creativity.